TiRoc Farms - We have created a place for other people to share in the peace and relaxation while staying at one of our vacation cabins. We also have started an organic farm to grow healthy food. God's Country Farm - The main crops grown are peace and tranquility! An easy drive to all the mountain attractions. Arlene will teach you the relaxing art of Cathedral Window Quilting. Enota Mountain Retreat - Enota is the perfect mountain escape to spend time with your friends and family. Enota is a non-profit conservation facility committed to preserving our beautiful land. Horse Creek Stable B&B - Blue Ridge B&B rescue animal sanctuary nestled on 36 secluded acres. 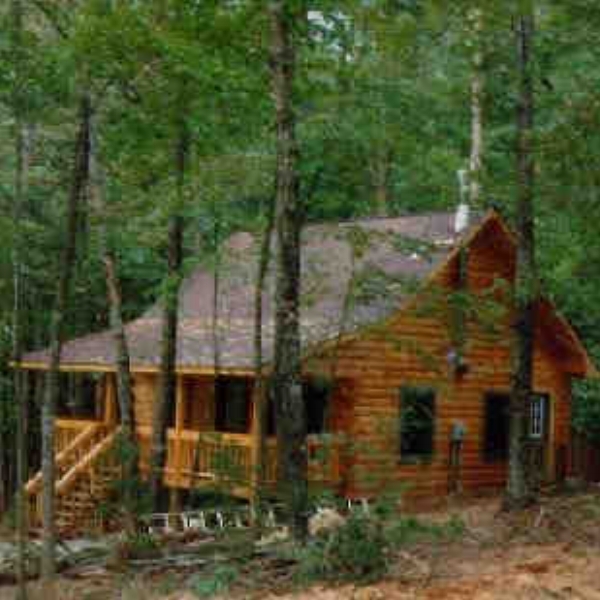 This is the perfect single getaway or couples retreat, just a few minutes away from Blue Ridge, GA.
2's Company Farm Creek Cabins - There are four 1br cabins, Serenity, Tranquility, Unity and Harmony. The design is unique for privacy yet has an open floor plan with a panoramic view of the mountains and pastures.